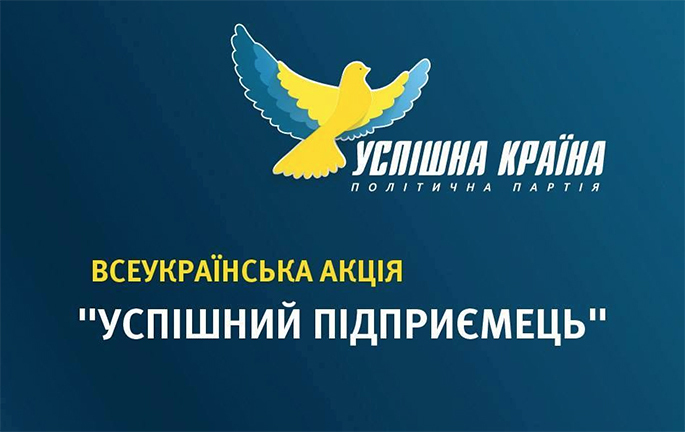 "Uspіshna Kraina" by Oleksandr Klymenko launches large-scale project in order to protect Ukrainian businessmen ⋆ News ⋆ Official website for Oleksandr Klymenko. 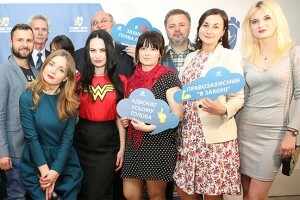 “Uspіshna Kraina” party announced the launch of all-Ukrainian action “Successful entrepreneur”. The action started on March 11. It will unite Kiev and a number of big cities in different regions of the country. According to official page in Facebook of Oleksandr Klymenko – leader of the party – the action of his political force is intended to unite small and medium business of Ukraine in struggling for their rights and interests, to protect it from the pressure of authorities. According to data of “Uspіsha Kraina”, more than 50% of Ukrainian entrepreneurs do not know about tax amendments, which came into force at the beginning of 2016. Meanwhile, a new Tax Code, adopted by the Verkhovna Rada in 2015, increases the tax on income of natural person up to 18% and fixes a growth of the tax rates for almost all categories of taxpayers. Activists of political force state that initiatives of the government in tax field will lead small and medium business in Ukraine on the edge of survival. At the same time, provisions of the legislation include gaps for oligarchs, who can avoid fair tax payment and deductions to the state budget in Ukraine. To make state monetary policy predictable. To introduce fair taxes for small and medium-sized business. To ensure a fair and full tax payment for oligarchs, to eliminate withdrawal of funds in offshore. To ensure the stability of tax legislation. To cancel the provision on the need for cash registers for the 3rd group of taxpayers. To reduce government pressure on business. To introduce a moratorium on all inspections of small business for 3 years. To restore and improve functioning of electronic services. To provide small and medium-sized business with legal protection. To implement responsiblity for tax and other regulatory authorities for exceeding of authority. To introduce preferential loans for small and medium-sized business by state banks of Ukraine. To make public tenders available to all business, not only for oligarchs. Volunteers of the political force of Oleksandr Klymenko will work in Kiev, Kharkov, Zhitomir, Dnepropetrovsk and Krivoy Rog in order to collect signatures. In addition, anyone can sign a collective appeal and state about requirements online. Let us remind that “Uspіshna Kraina” party of Oleksandr Klymenko announced its intention to open 120 offices in Ukrainian regions before the end of 2016.